OBB Unique offers one of a kind handmade jewelry and art pieces designed and created by two artists: Olga B. Bacskay & Daniella Bacskay, mother and daughter team, working with mixed medium, oil, acrylics, leather, metals, and gemstones. If you are looking for something different, stylish, fun, elegant, adventurous, with a unique taste, you may find it here. 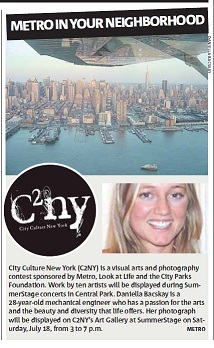 Daniella Bacskay won the July 2009 art photography for the City Parks Foundation, Look At Life and Metro New York Newspaper City Culture New York (C2NY)event: A Visual Arts Competition hosted at Central Park Summer Stage. Olga and Daniella have been published in Sunshine Magazine, Forest Hills Times, Brooklyn Downtown Star, Queens Ledger, Metro NY Newspaper, New School News Letter, and the Forest Hills Commerce . 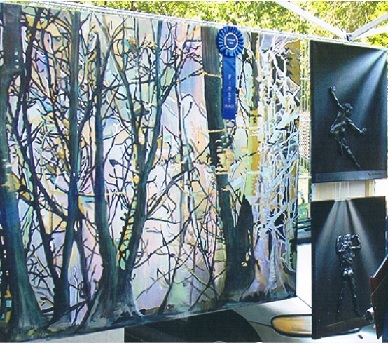 Olga B. Bacskay won First Place in Contemporary Art in the Spring 2010 WSOAE Jury Award for her acrylic "Forest Light". Award given by Mrs. Natalie M. Ballin, Board of Director WSOAE in Memory of Philip Eisenberg. 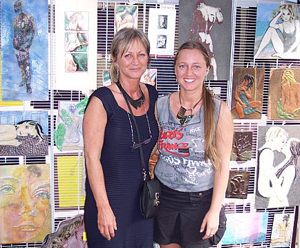 She also won first place in jewelry crafts and art in the the Fall 2012 and third place in 2013 WSOAE Jury Award. Thank you for visiting and supporting OBB Unique's Art ! Without You we would not be here!